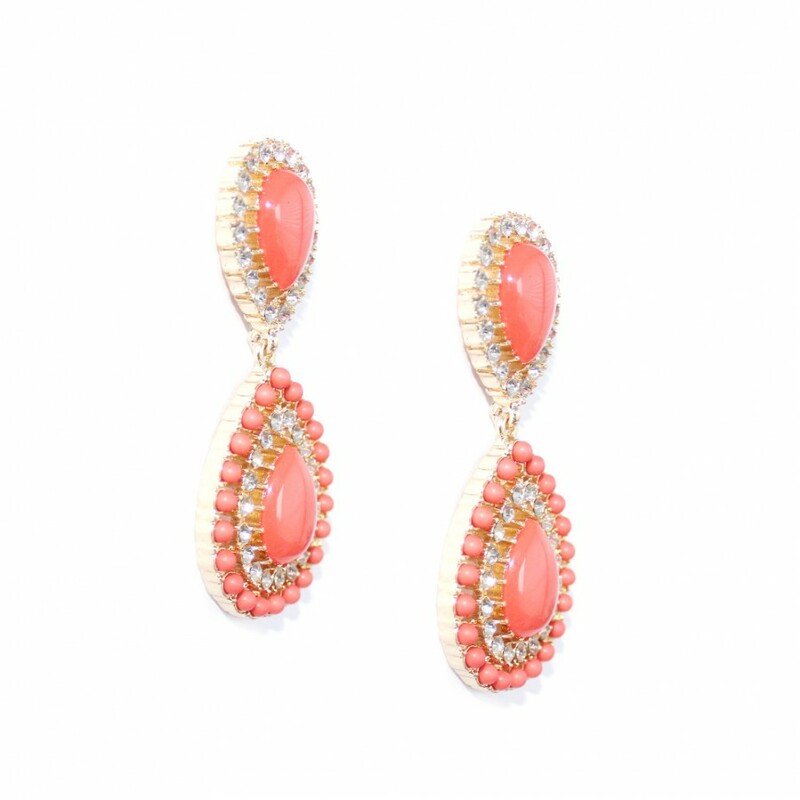 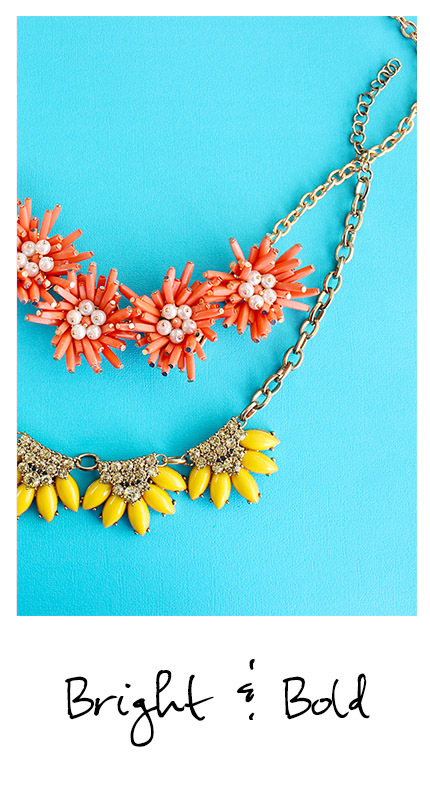 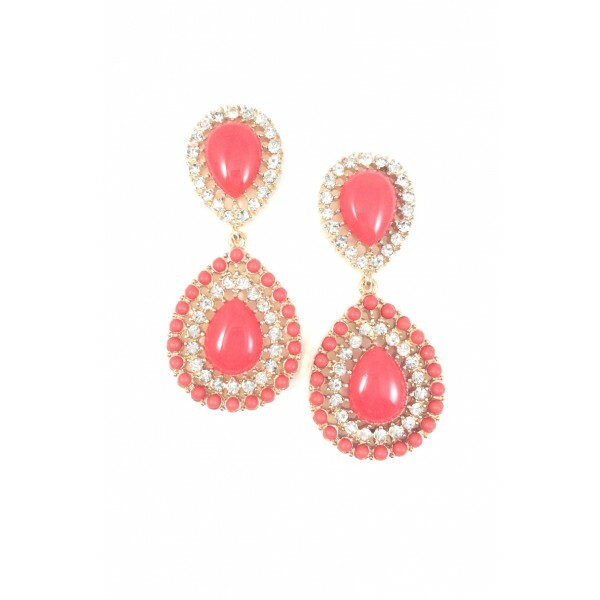 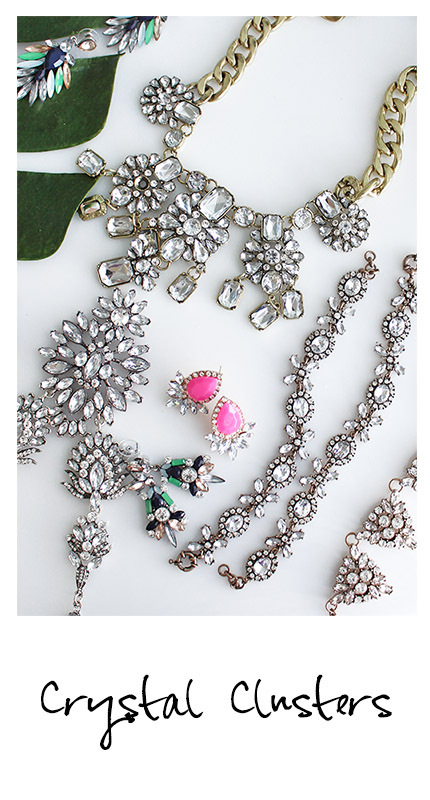 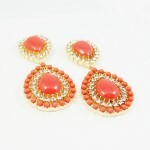 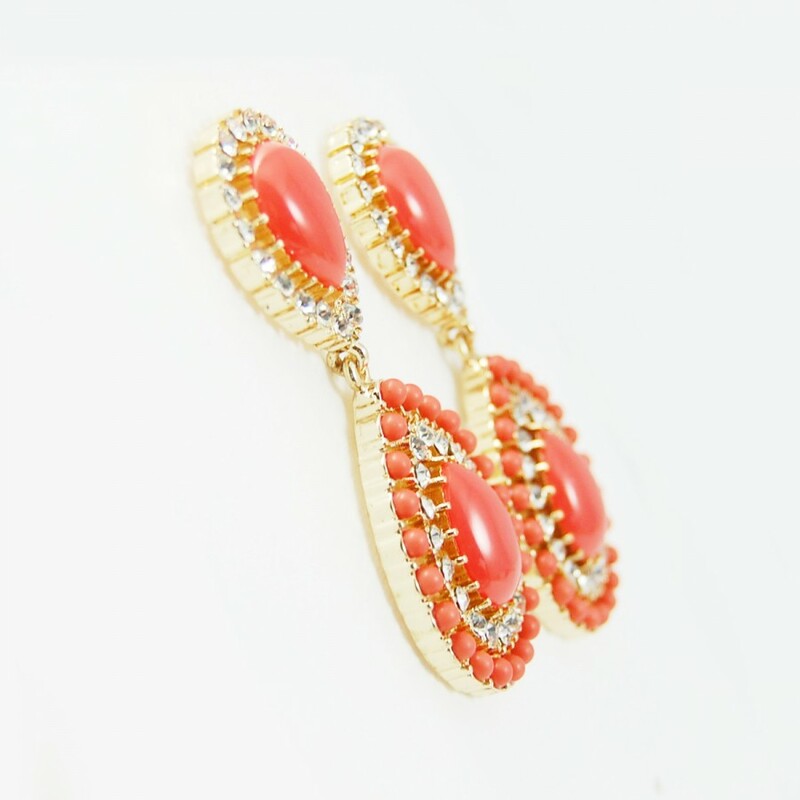 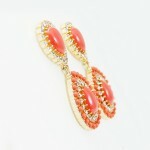 Gorgeous statement drops featuring teardrop cabochon in bright tangerine and glamorous rows of sparkling crystals. These tangerine colored drops are the perfect earring for that sunset afternoon by the water followed by dancing and cocktails! 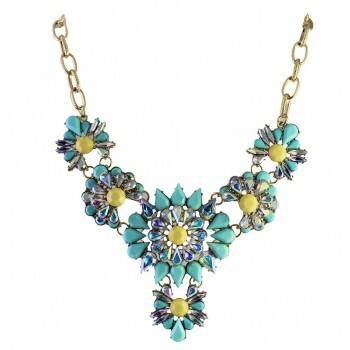 Pictures do not do this stunning necklace justice! 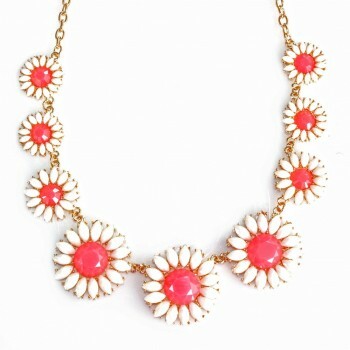 Featuring ivory stones in an elegant flower motif..
An edgy and eye-catching statement necklace featuring neon yellow stone accents among gorgeously lai..
A chic chunky necklace featuring blush pink stones in a flower motif, suspended on a gold tone chain..
Take one part ivory sea shell and two parts crystals and pearls, add a dash of gold and you’ve got..
Go a little daisy with this adorably chic statement necklace. 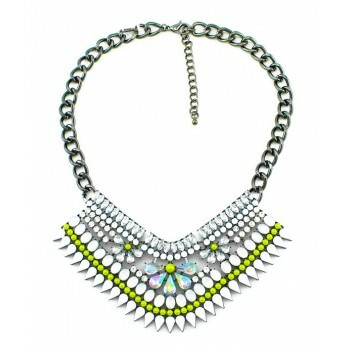 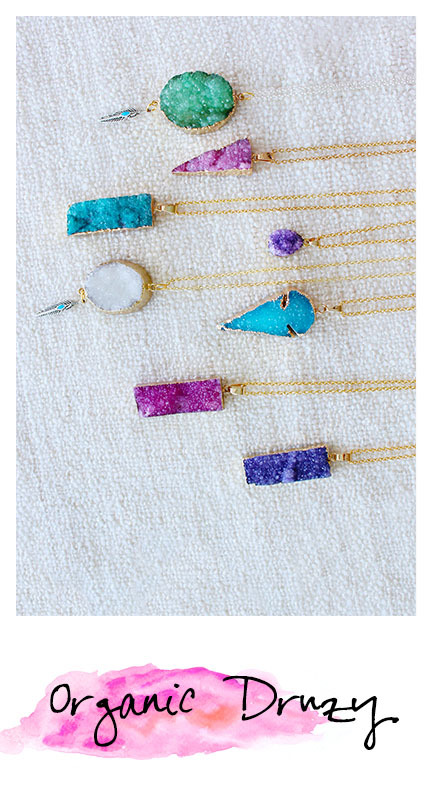 It's designed with a metal chain and..